It may only be the end of August, but the nights are drawing in and we are already beginning to feel the temperature dropping a bit. Autumn is a lovely time of the year and as the seasons roll around, it is important to keep your home ready for the changing weather. When the weather really does become cold, the last thing you want is for draughts to be coming in and making your home cold and inefficient in terms of energy. Feel around all the windows and doors, and if you can feel any cold air you know there is a draught. A great tip is to use a candle and see if the tip flickers, as this indicates there is a draught nearby. Use seals and caulking around the edges of window and doorframes to keep the warmth in and the cold out. Our home safety devices can save our lives, so it is important to make sure they are always working properly. Replace the batteries in all of your smoke detectors and carbon monoxide devices and test that they are working like they should be. Clean out any air filters and dehumidifiers to make sure they are working efficiently, so you can rest assure that when the colder days approach, all the main devices in your home are up to date and working well. A programmable thermostat is great for the colder months, as you can time it to change the temperature settings in your home at different times – this is great if you work throughout the day. Set your thermostat to come on just before you come home from work so that your house has warmed up, and set it to a slightly lower temperature throughout the night while you sleep. You may be surprised how much money this can save you. You should be able to just walk around the outside of your house and see if there are any problems. If you have a pair of binoculars then they will come in handy for a closer inspection. Check for any missing or damaged tiles, because this could result in leaking water and damp. 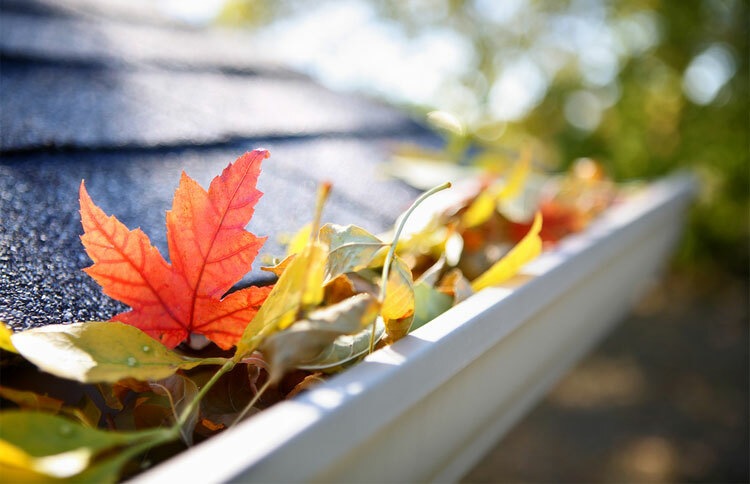 If you have a flat roof then make sure you clear any gathered debris such as leaves and twigs. If you have a wood fireplace, then it is important to have it cleaned and serviced by a professional. The last thing you want is to have a nice roaring fire in the colder months and for soot and smoke to start billowing into the room. Make sure to order enough firewood to last you through until spring, and if you collect your own make sure you give it enough time to completely dry out. If you have an internal gas heater or wood burner, it is a good idea to have it serviced to make sure it is working properly. Your garden is the main place that could suffer when the weather gets cold, so make sure you prep it as much as possible. Check trees for loose hanging branches that could fall off in the wind, and cut back any overgrowing bushes and shrubs. Take inside any smaller potted plants, and plant any bulbs that you want to see appear in the spring. It is also a good idea to try and keep on top of raking through autumn, as this is when most of the leaves fall off the trees.